The Challenge: Friendship came to the school armed with a solid plan of action to radically transform school culture and performance. However, the public was unaware of its efforts or plans. The school hired DENOR to manage public engagement and media relations with the goal of increasing student enrollment. The Solution: Our strategy was simple: leverage the school’s rich tradition and history to highlight the school’s current positives and share with parents why they should enroll their students there. We used a number of tactics to complete our strategy and meet our goal. We partnered with Educational Networks to redesign the school’s web site and implement an enrollment portal. We also supported the school’s administration team by assisting in coordinating community events so that school ambassadors could share the school’s story. We used our media connections to secure the school’s first-ever slate media coverage. Additionally, we’ve provided guidance on internal communication and activities to support teachers and boost morale. The Results: We knew we needed more avenues to tell the school’s story. The former web platform would not allow the school to share news, events, and happenings with parents in a dynamic way. Therefore, in 2017, we partnered with our friends at Brand Lamb to retool the school’s web site. The new web site is a news center that boasts a robust event calendar, blog, and other features that are attractive and informative to both parents and other members of the school community. We used our deep media connections to leverage traditional news outlets to share Capitol’s happenings. When the school was named the most academically improved school in the entire state of Louisiana, we made sure it was front-page news. We also planned the school’s first-ever Lion Pride Success Rally to highlight the school’s academic growth. We produce all social media, web, e-mail, and text content on behalf of the school. We oversee the production of all direct mail pieces, billboards, radio ads, and crisis communication efforts with the media. We creatively involve students in our social media messages and other advertisements. We also consistently engage with parents, funders, and other community and civic supporters on the school’s behalf. Additionally, we advise school administrators on communication-related personnel matters. Developed and implemented a schoolwide social media policy for students, teachers, and staff. Assisted in boosting staff morale and reducing the turnover rate. Increased parental involvement and education. Increased alumni involvement and education. Increased online applications for enrollment by 60 percent. 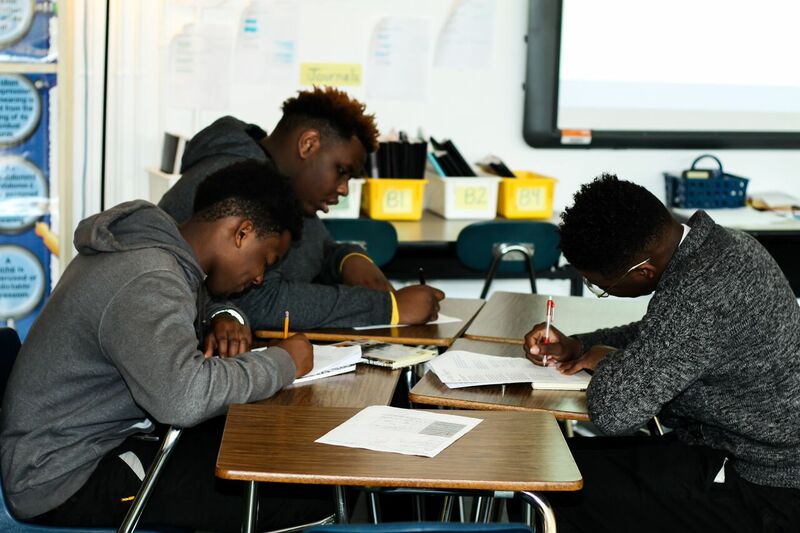 The Context: When Friendship Education Foundation was awarded the charter to operate Capitol High School, school leaders struggled with enrollment instability, low parent engagement, and high teacher turnover. The school had a history of poor academic performance. In fact, the reason Friendship took over the school was because other charter operators were unsuccessful at transforming the school culture; the sole reason the school became a charter school is because the state Board of Elementary and Secondary Education placed the school in the Recovery School District – the state’s arm for reforming low-performing public schools.